We are a historical reconstruction group, recreating a regiment of Confederate infantry from the times of the American Civil War. Our unit consists of people from the whole of Poland - we have outposts in Cracow, Lublin, Łódź, Kłodzko and the vicinity of Warsaw. 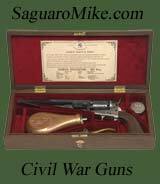 We share a mutual passion for history, old weapons and military accessories, and a fondness for the Confederate South. 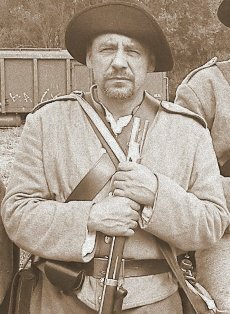 We are the largest American Civil War historical reconstruction group in Poland. We recreate a unit founded by two Poles - Major Kacper Tochman and Colonel Walery Sulakowski - the first commander of the regiment. Around 20 Poles served in the detachment - the highest number among all of the Confederate Army regiments. We strive to recreate the uniforms, equipment and armament of Confederate soldiers as faithfully as we can, to taste the atmosphere of the battlefields from 150 years ago. We live by regulations from the period and use English commands. We cooperate with reconstructions groups from Germany, Czech Republic and Austria, we take part in events in Poland and we also plan to travel to the States in 2013 to take part in the 150th anniversary reconstruction of the Battle of Gettysburg.